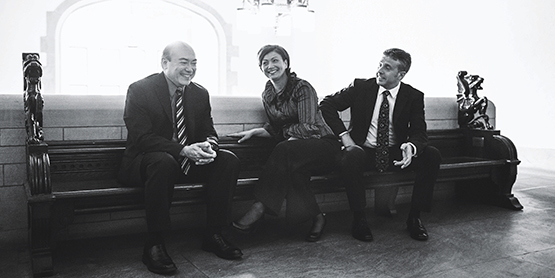 The Gryphon has established itself as one of the world’s preeminent piano trios, garnering acclaim and impressing international audiences with its highly refined, dynamic and memorable performances. They have produced 19 recordings and are winners of two Juno Awards for Classical Album of the Year, and the prestigious 2013 Walter Carsen Prize for Excellence in the Performing Arts from the Canada Council. Gryphon cellist Roman Borys is Artistic and Executive Director of the Ottawa Chamber Music Society.